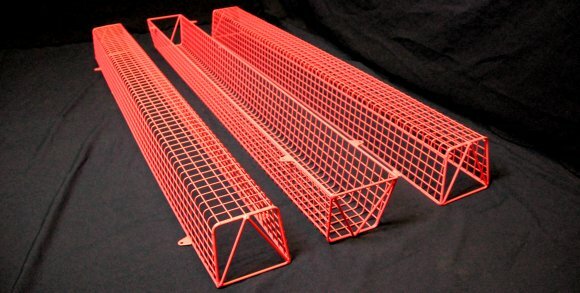 As well as supplying a range of stock fluorescent light guards MS Guardio can supply bespoke guards to order such as these AIANO rose pink light guards. One such instance in which MS Guardio were asked to meet a bespoke requirement was when we were contacted by a contractor working on behalf of a well known chain of Mexican fast food restaurants in Edinburgh. The customer required fluorescent light guards that were a specific shade of pink to match the décor in their restaurant. Our guards are powder coated white as standard, however we are able to match most colour requirements for our customers. If you want to source guards in a specific colour or have a bespoke requirement contact our customer service team who will be happy to prepare a quote for you. 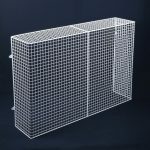 AIANO fluorescent light guards are the result of decades of experience in designing and manufacturing wire mesh guards. The AIANO Classic fluorescent light guard is strong, durable and aesthetically pleasing guard. 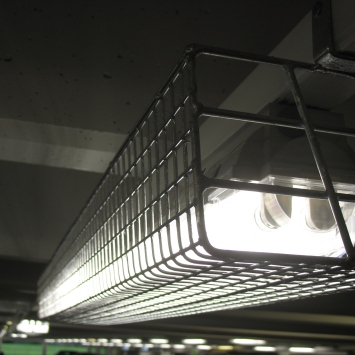 Aiano’s distinctive wire mesh fluorescent light guards with their signature v-ends are strong and attractive. The v-ends mean that the tube can often be replaced without having to remove the guard. 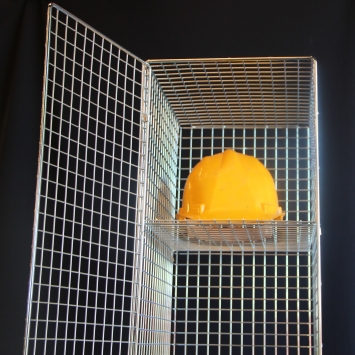 For this bespoke project the light guards were made with v-ends, from 1″ x 1″ x 12 gauge (25mm x 25mm x 2.64mm) steel weld mesh on a 5 gauge (5.38mm) steel rod frame. The guards were powder coated in rose pink finish (RAL3017). 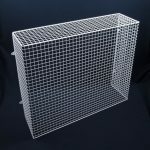 Our stock guards are supplied in white finish, however we can meet most bespoke requirements. 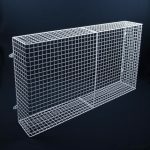 We can supply guards coated in any colour and have supplied grey, silver and black in the past. However, rose pink light guards were a first. If you have special requirements, do not hesitate to contact us for a quotation. 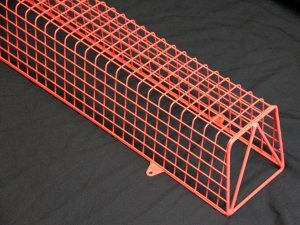 We can make guards to all sizes and requirements. 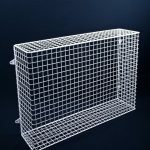 Please call us on 020 3603 4854 or email us if you would like to discuss your requirements, or require further information or advice on our wire guards.